Loll designs and manufactures durable, all-weather outdoor furniture made from 100% recycled plastic. Modern Adirondack Chairs and outdoor furniture from Loll Designs adds a unique and contemporary aesthetic to outdoor spaces. Featuring sustainable chairs, rockers, tables and ottomans, the Adirondack Collection is built for the modern lollygagger. This modern outdoor furniture is available in a variety of colours and has a unique pebbled finish. The 4-slat flat Modern Adirondack Chairs are more comfortable than you would expect from an outdoor chair. 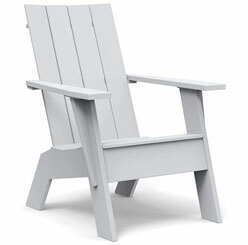 Resin Adirondack lounge chairs are easy to clean and better yet, maintenance free. This makes them perfect for commercial settings, rooftop patios and shopping destinations. Loll is inspired by original design and when we first set out to make Modern Adirondack Chairs, it had to be our own version. 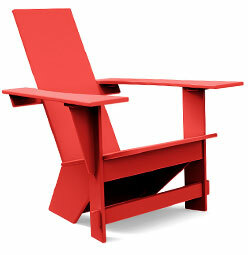 But truly, we are all just making an iteration of the original Adirondack chair. The one that always inspired us is the Westport Chair designed by Thomas Lee in 1903 for his summer cottage overlooking Lake Champlain in Westport, NY. The Westport is undeniably the most iconic American outdoor lounge chair and the original design spawned countless varieties. The chair had an early modern simplicity and a rustic appearance that is still viable today more than 100 years later. Lee’s chair started a higher level of outdoor comfort and design. As a show of respect, we’ve created a Loll Westport Adirondack Chair that stays true to the original. Using recycled plastic instead of knot free clear wood, we put forth our contribution to this iconic outdoor chair. 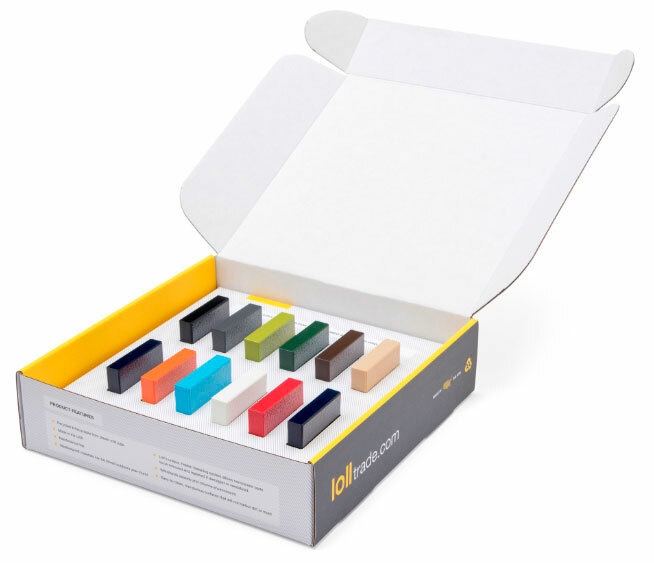 Looking for product colour and material samples? Contact Park Street or email info@parkst.ca. 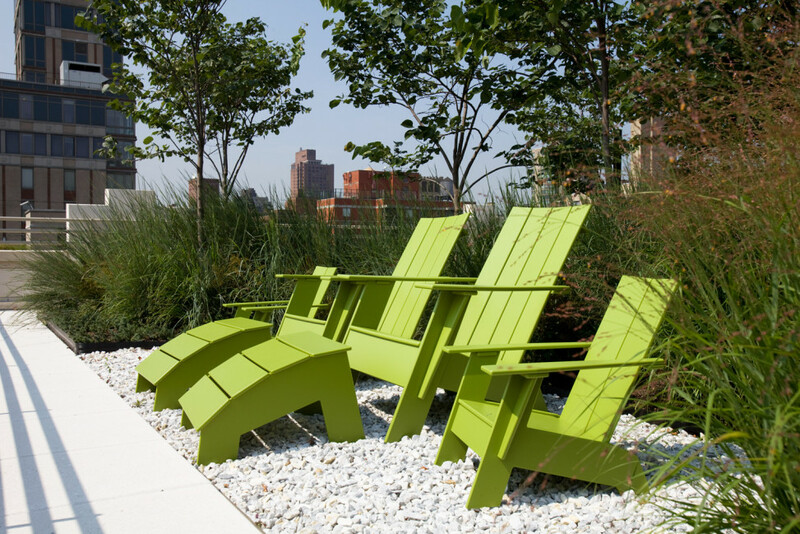 Need help selecting outdoor furniture for a commercial setting or public space? Call 1-888-788-7408 to speak with your Park Street Solutions representative.